Imagine you’ve just come home with the kids after hours walking through the cold trick-or-treating through the neighborhood. You come home to a roaring fire where you can warm up while the kids divide their loot and argue over coveted pieces of candy. Investing in a fireplace will keep on giving memories like that, whether it’s after Thanksgiving dinner, Christmas Eve, or just a winter weekend when you come in from a long tobogganing session. But with so many types of fireplaces available, should you buy a wood, gas, or electric fireplace? Traditional wood fireplaces are likely the first thing that comes to mind when you think about installing a fireplace in your home. Burning wood on a cold winter night will keep you cozy and warm. You get the rich smells of a wood fire and the sound of cracking wood. But wood fireplaces can be expensive. You should expect to pay around $2,000 to $5,000, while luxurious, open-hearth fireplaces cost upwards of $20,000 and require a skilled mason. Beyond cost, you should also check local building code regulations about the feasibility of a traditional wood fireplace. Wood burning fireplaces aren’t restricted to the indoors. If the installation costs inside your home are too high, you might want to consider an outdoor wood burning fireplace. The chimney fits right on top of the fireplace and you just need to set it up where you want it. An outdoor wood burning fireplace can complete your cozy backyard and give you many more fall evenings where you can sit outside. There are also a number of accessories your wood fireplace will need, including fireplace screens, tools, and wood storage. Unlike a wood fireplace, you can turn on your gas fireplace with the flip of a switch. Gas fireplaces cost a little bit less than wood burning fireplaces to install, but the fuel cost of gas will be higher than wood. 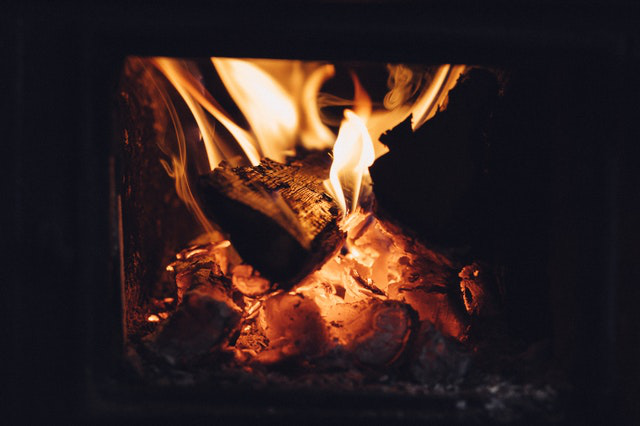 The convenience may be the biggest benefit to a gas-burning fireplace if you don’t have the patience to light a new wood fire every time. The electric fireplace is the most affordable and flexible option, because it has little to no installation costs. It’s as simple as plugging it in, especially if you have an electric fireplace that’s built into a TV stand or bookshelf. The cost of an electric fireplace depends on the size and whether you’re getting one that’s freestanding, wall-mounted, or with a built-in mantel. Another one of the benefits of a new fireplace that’s electric is that you can take it with you when you move. If you live in an apartment and can’t make any permanent renovations, electric fireplaces are the way to go. A fireplace is a gift your family won’t ever get tired of. Stay warm and toasty this winter and invest in the fireplace you’ve always dreamed of owning.